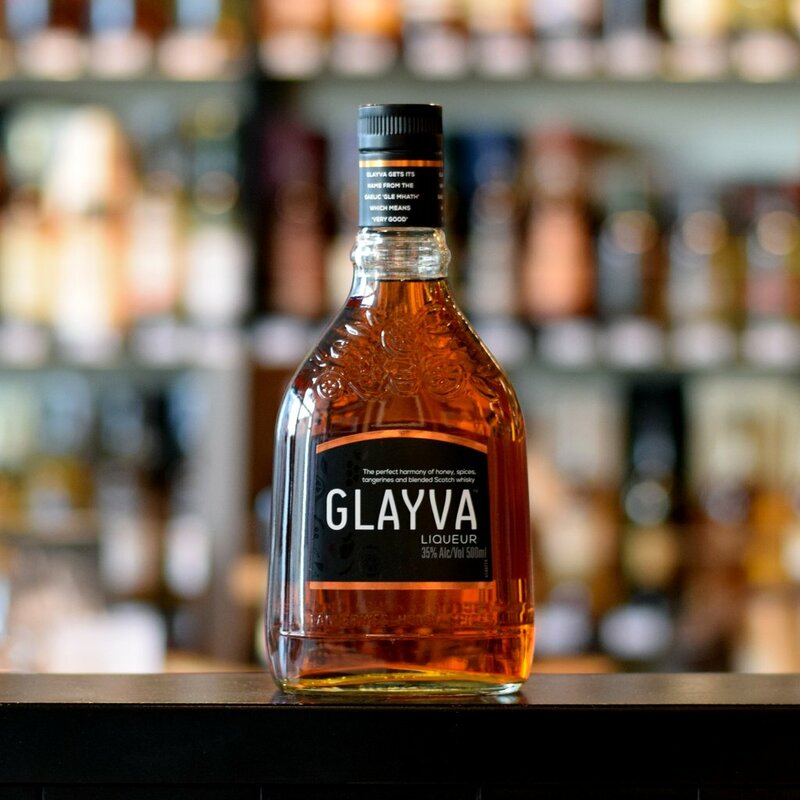 Glayva, made from a blend of whiskies, spices, tangerines, cinnamon, almonds and honey, now produced by Whyte & McKayGlayva was first produced in 1947 created by wine and whisky merchant Ronald Morrison who wanted to create a liqueur that would warm and comfort his customers. Being based in the busy port of Leith, Morrison had access to exotic ingredients from all over the world, such as tangerines, honey and spices which he mixed with Scotch malt whisky. Upon tasting the liquid for the first time, Hector, the warehouseman declared that it was ‘Glè Mhath" which translated from Gaelic means very good. From that point on the liqueur was named Glayva.